In the weird and wonderful world of film, it is rare to find someone who can write original screenplay and act with equal measures of brilliance. It is even more rare to find someone who can perform both tasks without ever undergoing any formal film training at all. 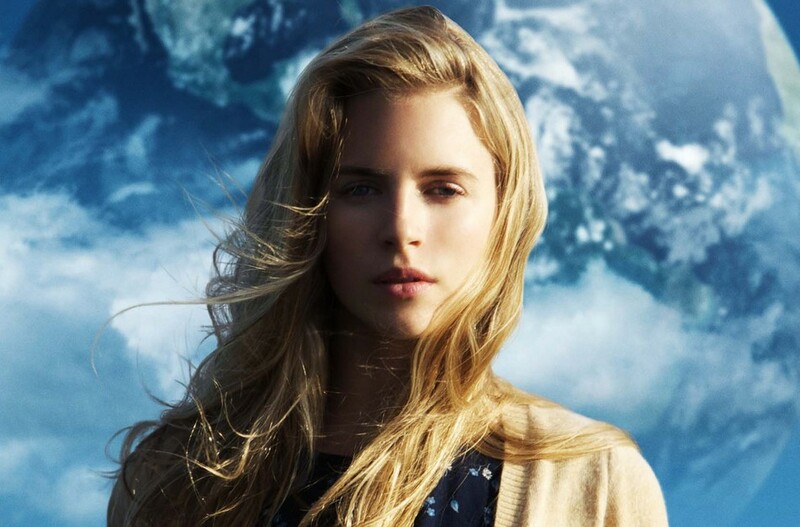 After graduating with a degree in economics, Chicago-born Brit Marling, plunged herself head first into the film industry at the ripe age of 21 and has never looked back. Now aged 30, Marling has a whole selection of films under her belt, three of which she both co-wrote and acted in. The first of these three cinematic delights is the psychological thriller Sound of My Voice (2011) which was co-written and directed by Zal Batmanglij, a former classmate of Marling’s at Georgetown University in Washington, D.C. SMV tells the story of a journalist (Christopher Denham) and his girlfriend (Nicole Vicius) who set out to investigate a cult whose leader (Brit Marling) claims to be from the future. The story, ever-so-predictable with its two central leads infiltrating the cult to such an extent that they start to question their own beliefs, is made continuously exciting by its brilliant cast. Marling has a quiet, almost pure quality about her acting that lends itself perfectly to the lonesome, enigmatic characters she (often) plays. The ending of SMV is both surprising and entertaining but I’m not giving anything away! 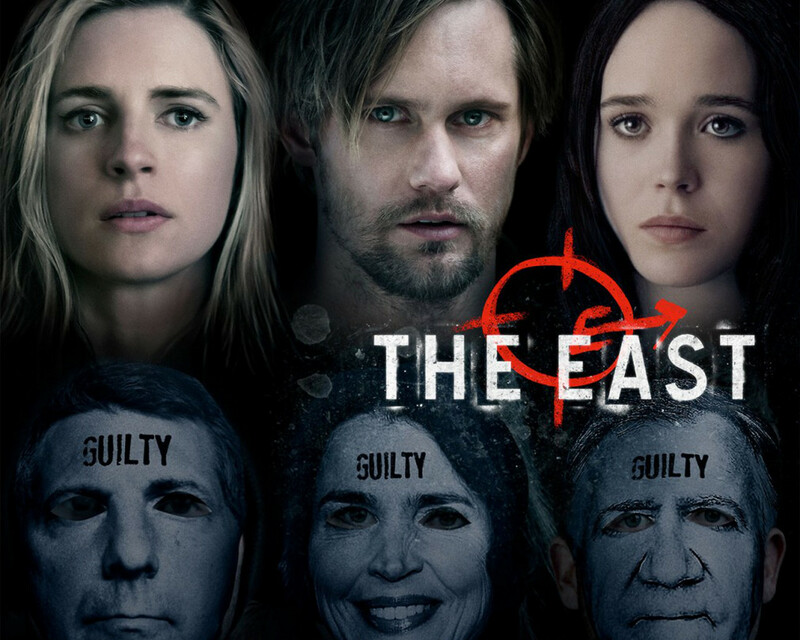 The third and most recent film The East (2013)is more commercial than the other two and was evidently shot with a higher budget. However, having been co-written once again by Brit Marling and Zal Batmanglij, similar themes to that of Sound of My Voice are undeniably present. After practicing Freeganism for a couple of months back in 2009, Marling decided to write about her experiences of living off the grid and out of the control or influence of huge capitalist corporations – this became the premise for her The East. The film follows an undercover operative (Marling) for an elite private intelligence firm as she is tasked with infiltrating an anarchist group known for executing covert attacks upon major corporations. It also stars Alexander Skarsgård and Ellen Page (which is where they met and fell in love! aww) as two of the film’s key anarchists and explores the ways in which the undercover operative’s own beliefs are tested in the face of such strong-willed and, in many ways, morally-correct people. (These are eco-terrorists after all who are simply fighting for ecological and environmental causes…) It also features a cameo from the fantastic Patricia Clarkson as an undercover operative boss. The tension that builds in The East is fantastic, with the audience constantly fearing that Marling’s character will get caught at any moment. We’re also never quite sure whose side of the fence we should be on. It isn’t until the very end that things become slightly clearer to the viewer and even then we are all unsure if the right path is not also the mentally unstable one too… This may all sound a bit vague but I don’t want to give too much away for those who haven’t seen it. The thread that ties all three films together and which plays an undeniably huge part in each one of their successes has to be the extremely talented Marling. In interviews with her co-writers and directors, Marling bats away comments by both Batmanglij and Cahill attesting to her ‘special’ quality on screen and it is perhaps this humility that makes her ever the more alluring. This, coupled with the fact that all three of them tried to make it big on their own without any major backing and have succeeded in doing so, makes Marling, Batmanglij and Cahill one of the most exciting, talented trios in the film industry at the moment. Under both directors’ guidance, Marling adds a touch of magic to each film – her timing is perfect, her voice is soft enough to make you lean in closer to the screen, and her eyes portray a myriad of emotions that takes the already-excellent screenplay to a whole other level. Below is a short video in which Marling has returned to her university to give recent graduates an inspiring speech about life after academia. This short speech explains in more detail how it is that Marling, Batmanglij and Cahill came to achieve their goals and seeks to inspire others to do the same. Aside from the well-placed eloquence of her words which speaks for Marling’s intellect and wit, this is a fantastic example of Marling’s skills as an actor. Her delivery is spot on and she is, as in all her films, totally and utterly captivating. With all her seemingly faultless qualities and her clearly promising talent, it will be interesting to see how Marling copes in her ever increasing limelight and to look at whether or not her future films will suffer as a result of her growing success and attention. Watch and learn people, watch and learn. 11 Aug	This entry was published on August 11, 2013 at 5:25 pm. It’s filed under Film and tagged Alexander Skarsgård, Another Earth, Brit Marling, East, Ellen Page, Georgetown University, Mike Cahill, Sound of My Voice, Zal Batmanglij. Bookmark the permalink. Follow any comments here with the RSS feed for this post.